I have a tin of Klar Seifen soap that I haven't used for a while. Curious about how it compares to some others in my rotation, I used it today and it completely lite up my face. Has anyone else had this issue? I have really sensitive skin, but haven't had previous issues with the soap before. Great scent. Great performance. Too bad I can't use it. I had an issue with Klar Kabinett. By the third pass, I started to feel a tingling sensation. Not a full-blown light up, like I got with Catie's Bubbles Le Piment de la Vie, but enough to warrant removing it from my den. I own 3 of them. No reactions. Still an almost 10/10 for me performance wise. (03-18-2018, 09:34 AM)primotenore Wrote: Which scent? I have a puck I haven't used in a while, I'll give it a go soon and report back. I used Klar Classic last week. I've had the puck for years. There was no issue. 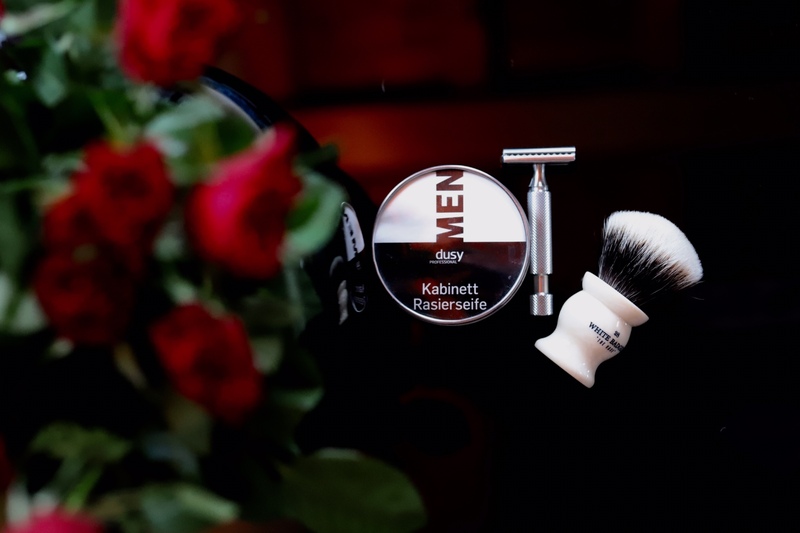 Just the same great shave that Klar delivers. Is almond oil or benzaldehyde one of the ingredients? That can lead to the sensation you describe in persons like me. But, it's all a matter of degree: Stirling's Black Cherry soap has that particular compound, and I adore it, but the Black Cherry AS has too much of it and sets my face on fire, turning it a bright red, such that I cannot use it. I got back to the Klar Seifen today, and absolutely no issues. Same great performance I've experienced in the past. I own and use for some years Dusy Kabinett, made by Klar and identical to Klar Kabinett. No problem ever with it, just outstanding shaves. My friend Richard sent me a big sample of this last year. I love everything about this soap. Klar Kabinett and Dusy, to the best of my knowledge, are (were) not produced by the same company. Dusy is a COPY of Klar. Palm Oil vs. Coconut Oil. Klar is a very nice soap however it's a bit drying to my skin. I never tried Dusy so I can't say anything about it. to the best of my knowledge dusy is a brand exclusively made for barber shops. I just checked a few websites, friwa, fripac, dusy.de to find out more. Not much info. I assume Klar produces Dusy soap for professional users as a different brand, not to ruin their own Klar product, as Dusy is much cheaper. Palm oil / coconut oil change is well known, as described in b&b. Do you have info that Dusy is a copy made by someone else and not by Klar? I have used both Klar and Dusy and everything I have read indicates that Dusy is a clone. Dusy is also not manufactured in Heidelberg as Klar is. Do I have absolute proof? The address written on the Dusy packaging is of a distributor, not of a factory. They sell shampoo and other stuff not made by them under their brand name as well. (03-24-2018, 10:58 PM)apogee. Wrote: The address written on the Dusy packaging is of a distributor, not of a factory. Since I have no direct evidence, I will defer to you, but you would be the first person, that I have ever heard, to claim that Klar manufactures Dusy, rather than it being a copy, in the over 4 years that I have been on the shaving fora. I will now retire from this thread. I have never heard of Dusy. Is Klar manufacturing Dusy the same type of problems as Oleo manufacturing A&E?